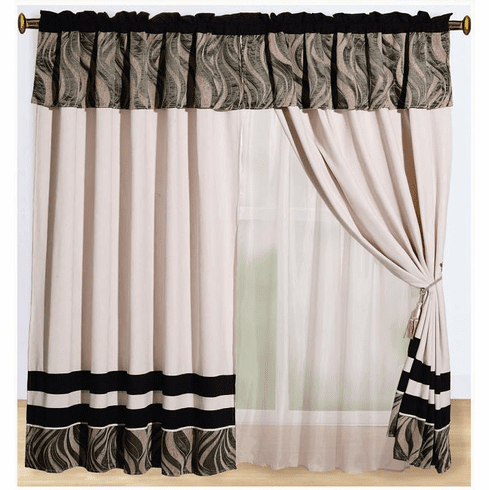 This beautiful windows curtain set include two panels, each panel has size of 60"W and 84" L. Total 120” W .
Each panel has back linen sewn behind and valance sewn on top. So only one curtain pod needed to setup the curtain.